…and I like this moment for this team. This game is the litmus test. This game will tell us whether to be content with taking the first big step and making the postseason or whether the 2018 Bears are capable of challenging the best teams in football for a Super Bowl title. Any result is an interesting one. There really is no way to describe what Aaron Donald is doing this season. The last two games for the Rams – against Kansas City and Detroit – have been dogfights. In both of those games, Donald turned the tide with sacks and forced fumbles. He has four sacks and three forced fumbles in those two games ALONE. This is not a good Rams defense. You could argue this is a BAD Rams defense. But they make big plays and they feature the best player in the entire league through the first twelve games of 2018. This is a prolific, well-coached offense. But the best defense they’ve faced on the road this season is Denver and in that game they mustered only 23 points. (With Todd Gurley rushing for more than 200 yards!) Rams were also up only 16-13 on the Lions in the fourth quarter last week until Donald did his thing. 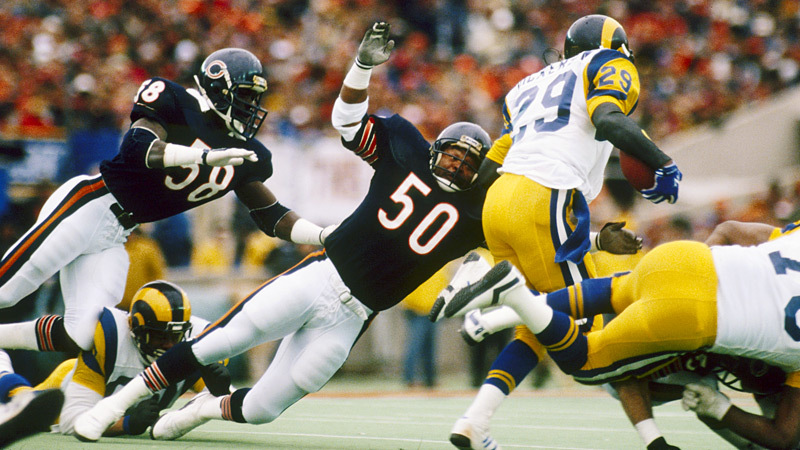 The approach for the Bears defense here is simple: keep the Rams in third-and-long and then get home with the pass rush. But that’s kind of the game plan against every offense. The Rams allow more than five yards per carry, putting them near the bottom of the league. No, I’m not going to predict the Bears to have a breakout game on the ground. The dog ain’t gonna hunt in 2018. But this is a game where the creative run game – Gabriel and Cohen outside – and Mitch Trubisky’s legs should pay dividends. The Bears need to do everything in their power Sunday night to keep the football out of Jared Goff’s hands. That means running the ball and moving the chains. Tomorrow: More Analysis & Prediction!